Last few months we worked hard at our hotel school in Bhutan and we are happy to announce our new website. For the next year ( 2016) we received more than 200 application from young people who want to be trained at our school. We only can enroll 34, the quality training that we give is already known in Bhutan. We are excited to announce the launch of our new website! We hope that it will provide visitors with the necessary information on the hotel and institute.Please take a look around and you will find pictures and descriptions of what our hotel offers you from our amazing students. Browse through to get a clear understanding of how BIHT work and what courses we offer. Get up close and actually know the relationship between BIHT and students. Our training hotel welcomes international and local guests. This unique hybrid business model provides a real-life learning experience for unemployed youth and the opportunity for guests to participate actively to make this institute self-reliant. Score some positive Karma for the new year! Bongde Institute for Hospitality and Tourism opens its doors to 40 Bhutanese students, in March 2015. 1) Adopt a student for Euros 1000,– for an entire year. This will cover the student lodging, tuition and food. Any support you can provide will be greatly appreciated. Thank you. We are happy and excited to announce the new Bongde Institute for Hospitality and Tourism, Paro Bhutan. This is the official name of the hotel school. We obtained the license from the government of Bhutan, in early December, and are now official. Rieki Crins had the vision and idea, and was the initiator of the project. She was later joined by Piero Grandi, who was instrumental in making it happen. Ms. Clara Blanc from Lausanne Smile, an NGO, who creates hotel schools all over the world, mainly in emerging markets, joined the project in 2014. Adrien Rebord and Auke Thijssen, two young alumni’s from the Lausanne Hotel School and The Hague, respectively. They also joined the project in 2014 and are in the field to set up and run the school, with our local partner Mr. Tshewang Norbu. 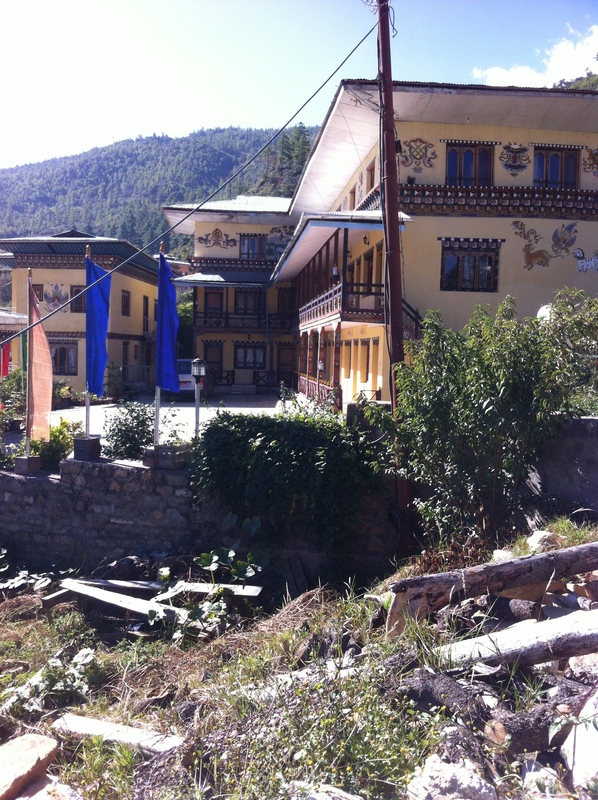 We have rented an established hotel in Paro that will be upgraded to a 4 star hotel and school. 15 Bathrooms will be renovated and the kitchen in the hotel will be rebuilt. This will create a suitable hotel school for training. In additon, Bongde has a dormitory for the students, on site. The plan is to enroll 40 students, 20 girls and 20 boys, by March 2015. This project is badly needed in Bhutan. Bongde Institute for Hospitality and Tourism (BIHT) will give all these young people a future. The training and skills that they will learn will provide them with a career in the growing tourist sector. Still a lot of work needs to be done and I would like to ask for your financial support. Please contact Rieki Crins to discuss how you could help scale up this project. 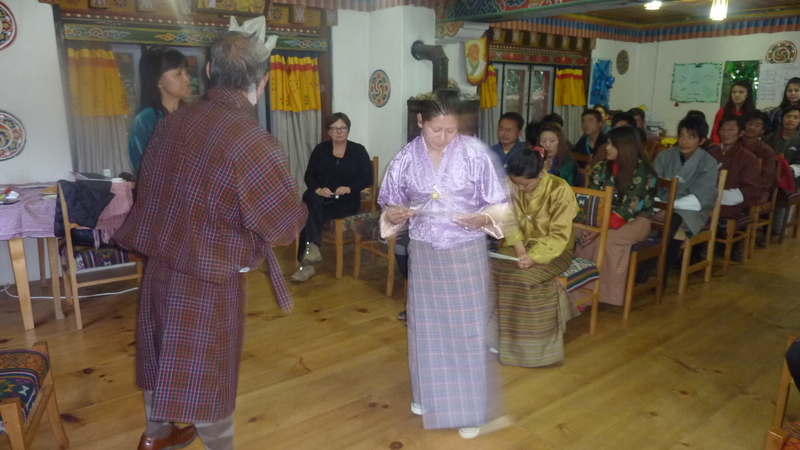 We have established the Bhutan Learning Exchange Foundation in Switzerland. We are moving ahead to make the Hotel School Project Bhutan a reality this Autumn. I would like to ask for your support. A land of pristine natural beauty and spectacular scenery, Bhutan is a dream tourist destination. Visitors from far and wide marvel at its lush green mountains and silvery snow peaks together with the centuries-old fortresses and monasteries dotted across this Himalayan nation. The citizens of Bhutan are regarded as being among the happiest in the world. The country measures the quality of life of its people by their happiness, widely known as Gross National Happiness (GNH), rather than by its Gross National Product (GNP), striking a balance between the spiritual and material. Bhutan remained relatively isolated until the 1970s. Although the internet and television were allowed into the country only in 1999, the Bhutanese, particularly the youth, seem to have taken to such modernisations with ease. The people are very active in social media, wear trendy clothes, use smartphones, drive the latest cars and go to karoke bars in the evenings. 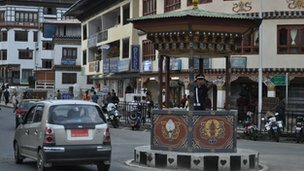 There is also a construction boom in big cities such as the capital, Thimphu, as the demand to buy a house or flat increases. But as modernity and consumerism take hold in the Himalayan nation, Bhutan is facing a host of problems, including poverty, youth unemployment, and growing public debt. Bhutan’s youth unemployment is around 7.3%, and its external debt has soared to nearly 90% of its Gross Domestic Product (GDP). The Bhutanese Prime Minister, Tshering Tobgay, says it is time for Bhutan to face up to the reality. “We have to admit that there is a problem. (We must) rein in the excesses of the government and the people and get down to the hard work of producing goods for ourselves and to export. There is no shortcut to economic growth,” Mr Tobgay tells the BBC. Following a sharp increase in public debt, the authorities have restricted bank loans for houses and cars. As a result, car imports, mostly from neighbouring India, have nearly come to a halt. Bhutan, which has a population of around 730,000, earns most of its revenue from exports of electricity to India and also from tourism. 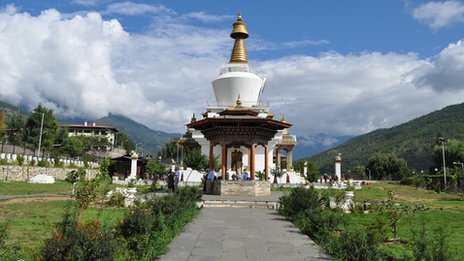 Last year a record 100,000 tourists (both international and regional) visited Bhutan bringing in revenue of more than $227m (£141m), the second highest earning sector after exports of hydro power to India. Some people argue more tourists should be allowed into the country to boost employment and revenue. Currently, international visitors from outside the South Asian region have to pay $250 (£155) a day for their visit in advance. The fee includes accommodation, travel and food. If those strict controls were relaxed, some say, mass tourism could bring in much needed cash. But the authorities are cautious. “Our tourism policy has always been high value and low impact. The policy we have followed so far has served us well. We feel that environmentally, culturally and sustainability-wise we cannot afford to have mass tourism in Bhutan,” says Chhimmy Pem, head of marketing at the Tourism Council of Bhutan. Many western tourists feel that Bhutan is a magical place and it should retain its exclusivity. “I think Bhutan shouldn’t allow mass tourism. We have seen what mass tourism has done to other places. So, it should keep the policy of restricting tourists. Otherwise this special place will lose its charm,” says Manuel Doemer, a tourist from Switzerland. However, Bhutan’s options are limited. It does not have many products in its export basket. Some people feel that sooner or later the government will have to review its policy. 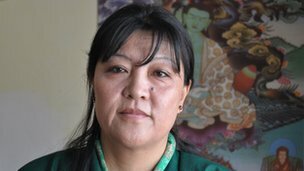 Tour operators such as Sonam Dorji argue that if Bhutan decides to have more tourists, it does not have the infrastructure to meet the expected influx. “The most important thing would be improving the access – air access and road access. At the moment, only one airline is flying into Bhutan. Besides that, accommodation is still lacking in central and eastern Bhutan,” says Mr Dorji, executive director of Association of Bhutanese Tour operators. He also points out that internet coverage, the speed and the bandwidth, is quite limited in certain areas of the country and acceptance of credit cards is also not widespread. But, with a growing population, officials realise it will be difficult to generate employment for the youth and they have to be pragmatic. “Our challenge is to increase the number of tourist arrivals, but to spread them throughout the year and throughout the country. So that we don’t have tourists bumping into each other,” says the prime minister. The reality is in the long-term, the country needs more money. And it will be a challenge for the authorities to keep limiting the number of tourists they let in. 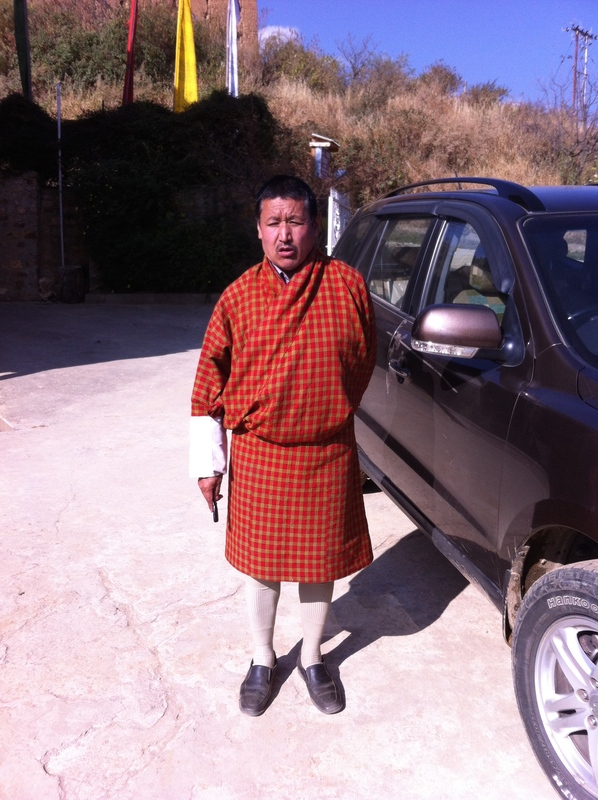 I’m writing to let you know about ‘Rural Community College Bhutan’. Take a moment to check it out on Indiegogo and also share it with your friends. All the tools are there. Get perks, make a contribution, or simply follow updates. 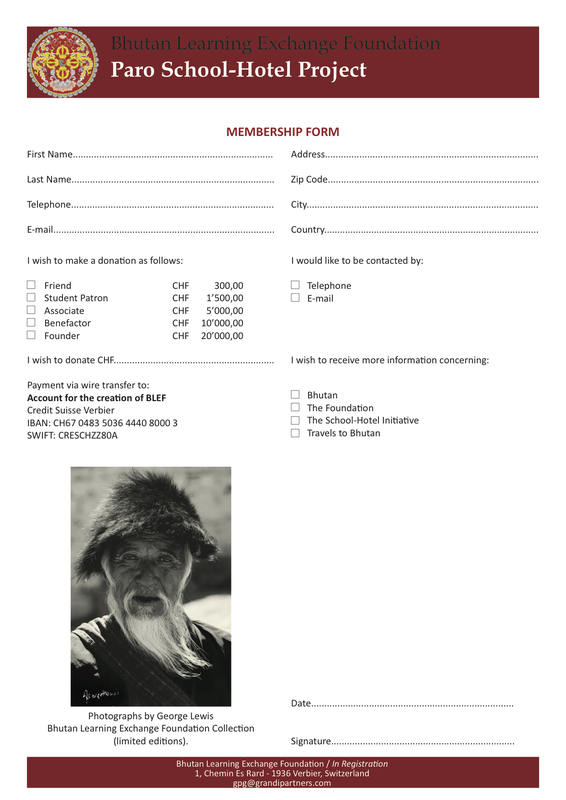 If enough of us get behind it, we can make ‘Rural Community College Bhutan’ happen! The École hôtelière de Lausanne is interested in working with Le Foundation in developing our Hotel School. 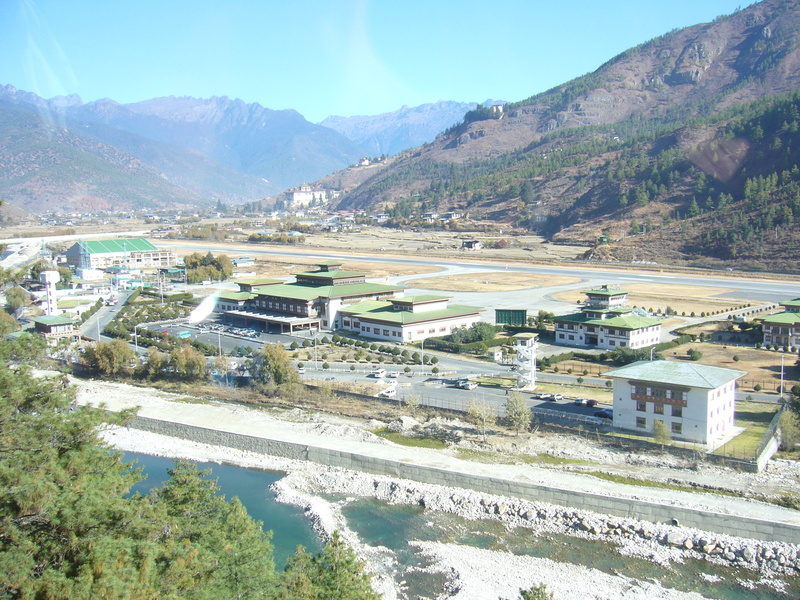 Tashi Air, operating as Bhutan Airlines, Bhutan’s first privately owned airline has announced the launch of a new daily international route between Paro and Bangkok, allowing visitors a second choice of airline when visiting the mountain kingdom. The inaugural flight to the Land of the Thunder Dragon will take place on 10th October 2013 from Bangkok where the airline’s Airbus 320 is based and flights from Kolkata and Bagdogra to Paro will be launched in the coming months. The airline will offer passengers the choice of economy and premium classes with a total of 150 seats. Fares will start from US$720 (approximately £455) return in economy, or US$800 (approximately £505) return in premium. Bhutan Airlines will join Drukair in being one of the exclusive airlines to fly to Bhutan. Plans to expand its routes are in the works and the company is currently looking at Dhaka, Bangladesh, Singapore, Nepal, Dubai, and Hong Kong as future destinations. To promote the launch of the new route, Tashi Air will offer travellers discounted fares, including 90% off for infants, 33% off for children and 30% off for students. New Bhutanese PM Tshering Tobgay has cast doubt on the country’s pursuit of Gross National Happiness (GNH). The concept is overused and masks problems with corruption and low standards of living, Mr Tobgay told AFP news agency. GNH aims to measure quality of life in more complete terms than gross national product (GNP), striking a balance between the spiritual and material. The term was coined in 1972 by Bhutan’s former King Jigme Singye Wangchuck. It has been at the heart of government policy since then, although recently some critics have taken to referring to GNH as “Government Needs Help”. Mr Tobgay was elected in July after his PDP party won 32 of the country’s 47 parliamentary seats. He has projected himself as a reformer, rejecting the trappings of power including an official limousine and luxurious prime ministerial accommodation. Mr Tobgay, 47, said that while he supported the notion that “economic growth is not the be-all and end-all of development”, GNH should not distract from tackling Bhutan’s pressing problems, including chronic unemployment, poverty and corruption. “If the government of the day were to spend a disproportionate amount of time talking about GNH rather than delivering basic services, then it is a distraction,” he said. “There are four issues that can compound to make matters extremely bleak: our ballooning debt that if we’re not careful will not be sustainable; the big rupee shortage; unemployment, in particular youth unemployment; and a perception of growing corruption.